But if you vacuum clean, make sure that you fold the brush on the nozzle away to avoid scratches. And just vacuum cleaning will not be enough. Stains can appear on any floor that you can only remove by mopping. Oiled parquet floor? Never mop with 100% water! You may never mop oiled parquet floor only with water. If you do you remove the protective oil and your parquet floor will be highly vulnerable to stubborn stains. So add a suitable product such as Woca Natural Soap, to your mopping water. Use Woca Oil Conditioner for annual maintenance. 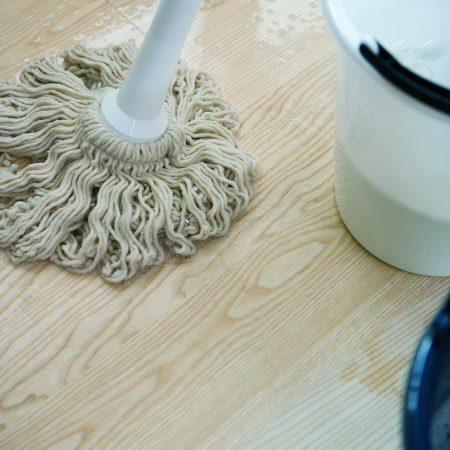 With lacquered parquet floor you may mop only with water. We recommend cleaning the floor each week with Bona Wood Floor Cleaner. Use Bona Wooden Floor Polish for annual maintenance. Do you want life-long enjoyment from your wooden floor? 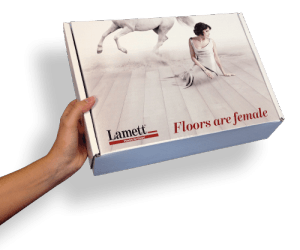 You must make sure that you correctly maintain your floor. 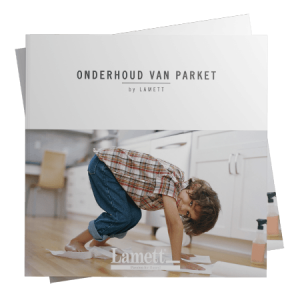 Download our ebook so you know what is important when maintaining both oiled and lacquered parquet floors. We also explain how you can easily remove any scratches.